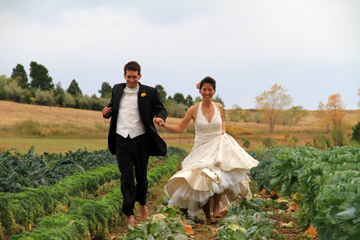 In the summer of 2009, Co-Founders Jessica Lee and Michael Sandler launched the Barefoot Running Club in Boulder, CO. The club's huge success inspired Jessica and Michael to launch RunBare, a barefoot wellness school to help people heal injuries, get active again, reconnect with Mother Earth, and discover a healthier lifestyle. Later that fall, they took a giant leap of faith, both quitting their respective jobs to focus entirely on writing a how-to book to safely guide people through the transition to barefoot running. For nine months straight they toiled in front of their computers, surviving on various ramen creations and the generosity and support of close friends. In April 2010, with barely a penny to their name, the duo hit the road on a 100+ city tour spanning 5 months. They drove across the country with their two dogs, Pumpkin and Sawa, a modest Suzuki hatchback and 4x6 trailer, speaking at outdoor retailers and specialty running stores. Three weeks after hitting the road, Barefoot Running: How to Run Light and Free by Getting in Touch with the Earth was released in May 2010. Upon surviving a 5 month book tour together, they got hitched on October 10th, 2010 on an organic farm on the outskirts of Boulder, CO.
On September 20th, 2011, Crown Publishing, a division of Random House re-released Barefoot Running, helping RunBare reach an even broader audience. A year later, RunBare branched out into multimedia with the release of their first how-to DVD, Barefoot Running, The Movie. Since their humble beginnings, Michael and Jessica have garned the attention of major media outlets from all major television networks to NPR, the BBC and the Martha Stewart Show, and Men's Health, Shape Magazine and Trail Runner, and more. 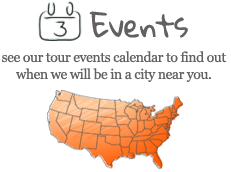 What's in store for RUNBARE in 2013? 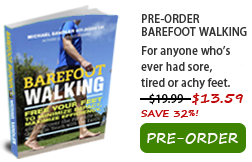 The release of Barefoot Walking: Free Your Feet on March 26th, 2013, followed by a 4-month book tour across the country. Barefoot running and walking retreats at exotic destination locations, beginning with Maui, HI. Michael Sandler, former speed skater and professional level cyclist, suffered multiple injuries over the course of a lifetime, the last of which occurred just over 3 years ago. Weeks before a planned inline skating world record attempt across the country (LA to NYC) to raise awareness around ADD/ADHD, Michael experienced a life altering accident. While inline skating down Boulder Creek Trail, a father and toddler stepped in front of Michael's path. To avoid a collision, Michael threw himself backwards and in mid-rotation, landed on concrete. The force of the impact resulted in a broken arm, broken hip and shattered femur. Doctors told him the usual story - he may not be able to keep his leg... he may not be able to walk again... he most definitely would never be able to run again. Fortunately, Michael doesn't believe in limitations. He'll be the first to tell you he doesn't believe in the word, "Can't." Slowly but surely, through a combination of determination, meditation, trust in the universe and the power of nature, Michael became a walking miracle. 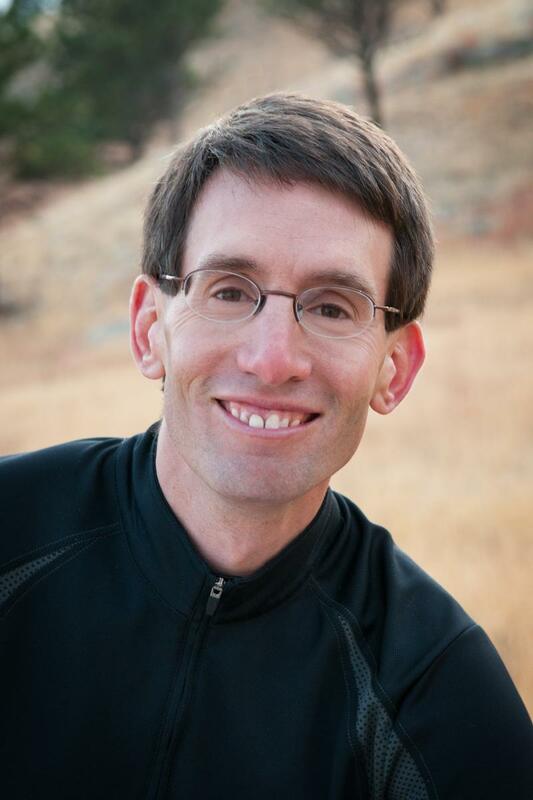 In 2006, a week out of his living room hospital-bed, Michael set the record for finishing the Bolder Boulder 10K on crutches (and a broken arm). Two weeks later, Michael finished the Denver Half Marathon on crutches and became the only person to ever complete the half marathon on crutches. When he finally got off his crutches, Michael gradually worked himself into barefoot running. He was still being told he couldn’t run anymore, and with a ‘leg length discrepancy’ of over 10 millimeters, struggled to find balance and overcome nagging pain. Known as ‘Mr. Plantar Fasciitis’, as he needed custom orthotics just to walk across the living room floor, going barefoot was a major leap of faith. The first day, he ran 100 yards. Then he iced his feet for 2 days. The second time, he ran 200 yards. Then iced for another 2 days. And so it went. Today, Michael can be seen barefoot running up mountains. To Michael, barefoot running is not running at all. He says, "I don't run anymore. I dance." 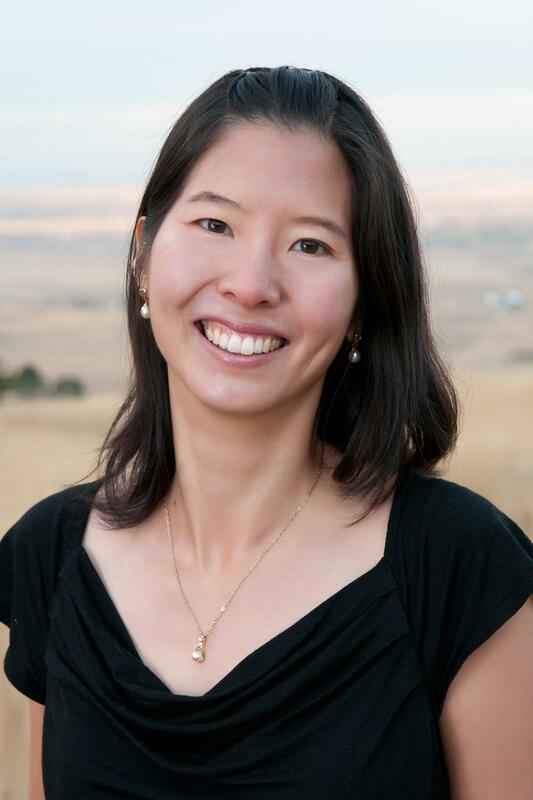 Jessica Lee holds a Bachelor of Science degree in Learning and Organizational Change from Northwestern University's School of Education and Social Policy. Following graduation, she served two years with the U.S. Peace Corps as Youth and Community Development volunteer in St. Vincent & the Grenadines. Her projects ranged from holding health education workshops to running an experiential leadership training program for youth. Her favorite project above all was launching a 4-H Club, which raised and sold chickens. Back in the U.S., she spent a summer as a bicycle tour guide in Alaska before settling in Colorado where she became a jane of all trades, working as an REI Sales Specialist, managing a coffee shop, baking Italian artisan bread and volunteering with Leave No Trace, a nonprofit that promotes environmental education and responsibility. Eventually, Jessica settled into a focused career as a marketing professional in the renewable energy industry. In 2007, she ran the Bolder Boulder 10K and felt crippled with knee pain after the first 3K. She subsequently gave up running until she met Michael and became inspired to run again, finding a pain-free joyous experience in barefoot running. These days running isn't about how long or how far she can go, but about experiencing the bliss of connecting with Mother Earth. You might find her on a trail, up in a tree or meditating on a rock - it's wherever spirit takes her.